How many payments per month are provided on the Premium plan? The Premium plan is limited to 1,000 monthly payment submissions. 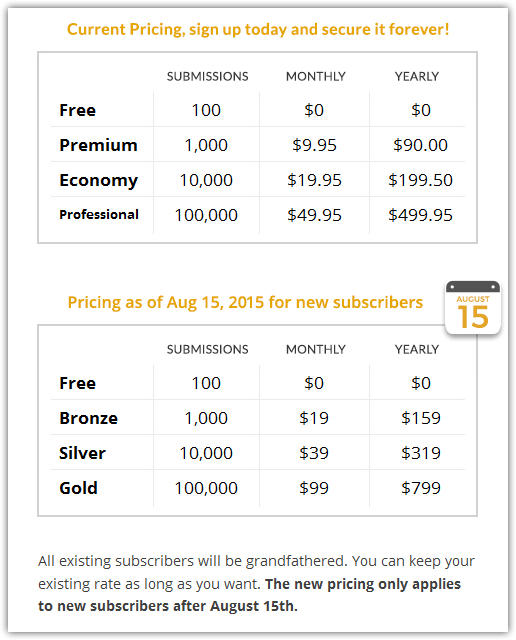 Please note that our current paid plans will not be available for new subscribers (to sign up) after Aug 15th.